Editor’s note. This appears in the digital January issue of National Right to Life News. Please share selected stories from the 48-page edition with family and friends. Most people volunteer for the pro-life movement. I consider myself a draftee. For me, there was no “choice.” I became a conscript because of personal and professional experiences that followed in the wake of the Roe v. Wade decision. I was a young intensive care unit nurse in 1973. Like most people I knew, I was shocked when abortion was legalized. As a medical professional, I couldn’t imagine good doctors and nurses condoning — much less participating in — such a brutal act. However, I quickly found that my medical colleagues were split on the issue. In a foreshadowing of what was to come, those supporting what was then said to be “only” early abortions were the most vocal and insistent. Our formerly cohesive unit began to fray. My eyes were opened with the 1982 “Baby Doe” case in Indiana. Baby Doe was a newborn baby boy with an easily correctable hole between his esophagus (food pipe) and trachea (windpipe). He was denied lifesaving surgery by his parents and a judge because he also had Down Syndrome. He also was not fed. Six days later, even while his case was being appealed to the Supreme Court, Baby Doe starved and dehydrated to death. When our daughter Karen was born a few months after Baby Doe, we were stunned that she had both Down syndrome and a severe heart defect. I was determined that she would not become another Baby Doe. The cardiologist told us that Karen had an 80-90% chance of survival with one open-heart surgery by age 6 months. He also gave us a “choice” –to let Karen die. I was outraged that he could even consider not treating my daughter like any other baby with the same heart defect. 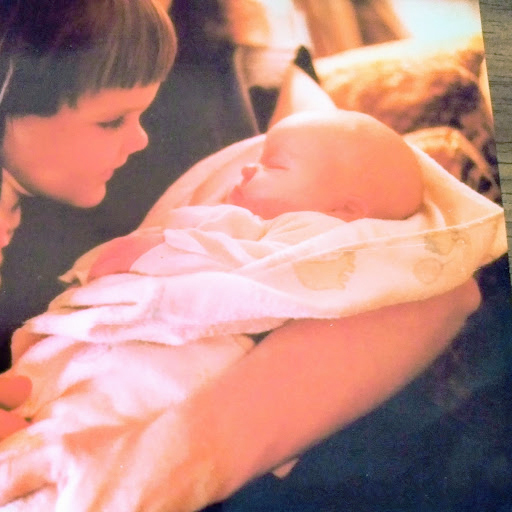 Even worse, when my daughter was hospitalized with pneumonia at 4 months, I was tipped off that my trusted pediatrician had made her a “do not resuscitate” without my knowledge or consent because “Nancy is too emotionally involved with that retarded baby.” I then realized that “choice” was just an empty slogan that had infected medical ethics. Although Karen survived that incident, she unfortunately died at age 5 1/2 months, just before her scheduled surgery. A few years after Karen’s death, I was shocked by the so-called “right to die” movement that pushed “living wills” to refuse even food and water by tube if or when a person became incapacitated. I became involved in the Nancy Cruzan and Terri Schiavo cases. Both involved seriously brain-injured, non-dying young women declared “vegetative,” a dehumanizing term invented in 1972. I wrote an op-ed for my local paper predicting that the potential pool of victims would expand if death by starvation and dehydration was allowed. I was thinking about my own mother who had Alzheimer’s and cancer. At one point I was asked if our family was going to feed her. I replied that my mother would die naturally from her condition, not starvation and dehydration. How far we have descended! Now, prominent doctors and the American Nurses Association are promoting what Compassion and Choices calls voluntary stopping of eating and drinking by mouth (VSED) as a legal option to “speed up dying” for competent people with serious illnesses. “Living wills” to prevent even spoon-feeding for people with dementia are also being developed. Why? To “speed up dying” for people with serious illnesses. “Living wills” to prevent even spoon feeding are being developed. The “right to die” movement ultimately morphed into the “Compassion and Choices” (formerly the Hemlock Society), the extremely well-funded organization that promotes physician-assisted suicide by lethal overdose. In the late 1990s, Oregon became the first state to legalize assisted suicide. Now a handful of states and the District of Columbia have followed Oregon but the relentless effort to legalize physician-assisted suicide continues in the other states. Over the years, I had cared for many suicidal people and I saw the seductive effect of people like Jack Kevorkian (the famous “Dr. Death”) had on them. As a nurse, I knew how dangerous it was to portray suicide as a “solution” to many at-risk people. But it became personal when Marie, my 30 year old daughter, killed herself using an assisted suicide technique that she learned reading the pro-assisted suicide book Final Exit. My Marie had struggled with drug addiction for 16 years and in spite of our best efforts and those of her therapists, she finally succumbed to despair. She was the only suicidal person I ever lost. “Suicide contagion” is not a figment of someone’s imagination but a real phenomenon. It is no coincidence that the U.S. suicide rate has skyrocketed since Oregon first legalized physician-assisted suicide. I also discovered that it’s only a very short step from “I wouldn’t want to live like that” for assisted suicide to “No one should have to live like that” for euthanasia. And I saw it all start with the Roe v. Wade decision legalizing abortion.